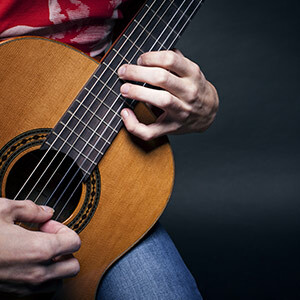 Pender's Music Co. is your complete source for Guitar & Folk Instrument Music, sheet music, and more. From beginner level to pro, our large inventory of sheet music, musical classroom materials, and everything in between makes us the one-stop shop for all your needs. Looking for a hard-to-find title? Call 800-772-5918 to speak to one of our knowledgeable staff members. We'd love to help.